The ACI Information Group is pleased to announce that the ACI Scholarly Blog Index has been selected as one of the Best Databases of 2016 by Library Journal and included in the annual Best Reference feature published this year in the March 1st 2017 issue of the magazine. The featured “Best Reference Books and Databases” are selected by a group of Library Journal’s reference reviewers and editors and spans a wide range of subject categories. ACI Scholarly Blog Index is one of the five “highly recommended databases reviewed in 2016” and included in the Best Databases section. 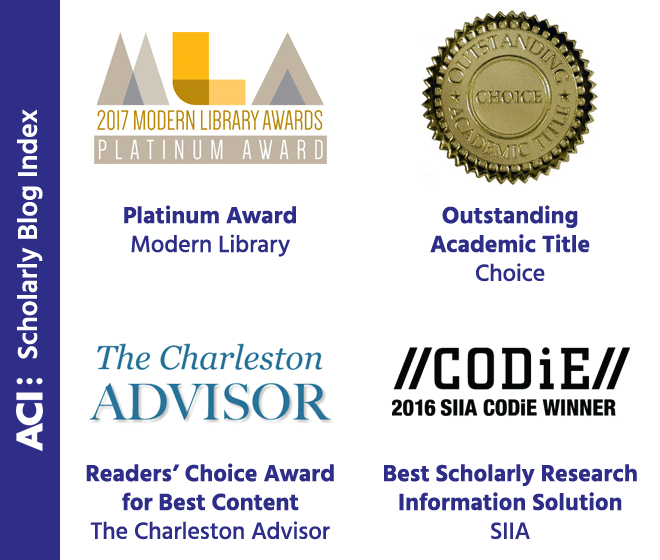 “The ACI researchers and editors, all with domain expertise, carefully select and curate the scholarly blogs included in the ACI Scholarly Blog Index so we are pleased when librarians and the library press recognize our efforts,” said Larry Schwartz, President of the ACI Information Group, about the Library Journal award. ACI Scholarly Blog Index is pleased with Library Journal’s recognition of the distinctiveness of the ACI collection. This award joins the other “Best of” awards that the ACI Scholarly Blog Index has recently received. Library conference activity: Visit ACI Scholarly Blog Index at the upcoming ACRL Conference in Baltimore. Stop by ACI booth #1204 to speak with Larry Schwartz, President of the ACI Information Group, publisher of ACI Scholarly Blog Index, and Aura Novembre, Vice President, and Pat Sabosik, General Manager. Pat is also hosting a roundtable discussion: “Scholarly Communications and Grey Literature: Completing the Chain—Links Between Authors, Institutions, and Readers.” We look forward to seeing you in Baltimore!